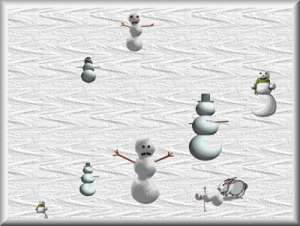 A background of snow with animated snowmen dancing across the screen(animations from Webclip Empire). Music- "Whole Lotta Rosie" by ACDC. Screensaver copyright, ART-TLC ©.